Full Service refers to a strict set of standards the USPS requires mail service providers to follow in order to mail at a discounted rate. Barton & Cooney was the first in our area to receive full service approval. Barton & Cooney is an authorized DMU (Detached Mail Unit). This means the USPS has an acceptance unit located within our facility to clear mail and get it into the mail stream quicker. 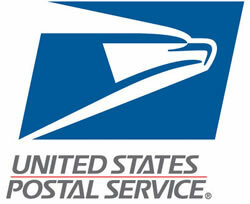 We are approved by the USPS to send certified mail and priority mail using the IMpb barcode. We eliminate the need to manually fill out certified mail slips and can provide both signature scans and other tracking information. The USPS Drop Shipment Management System (DSMS) program allows approved mail service providers to track mail pallets and receive additional postal discounts. The USPS Co-Palletization program allows approved mail service providers to combine smaller mail runs with a larger mail pool to receive greater postal discounts.